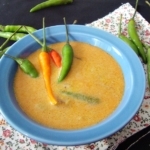 Parippu curry is one of the basic curries in Sri Lankan cooking. 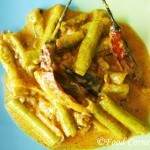 It is popular among most Sri Lankans as it well goes with rice, bread or even roti. 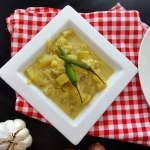 The flavor & appearance of this curry can be changed by changing few ingredients or adjusting the amount of coconut milk in the curry. 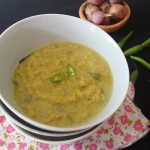 Check this Dhal Curry Recipe for another taste. 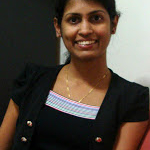 Pardon me; I just clicked these photographs with the same cooking pot as I was running out of time. Anyway I love to cook using these clay pots. 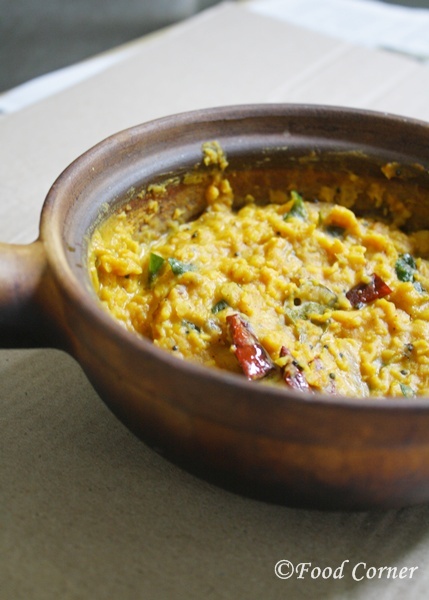 Here is the recipe for Sri Lankan Dry Dhal Curry .Hope you would love it! 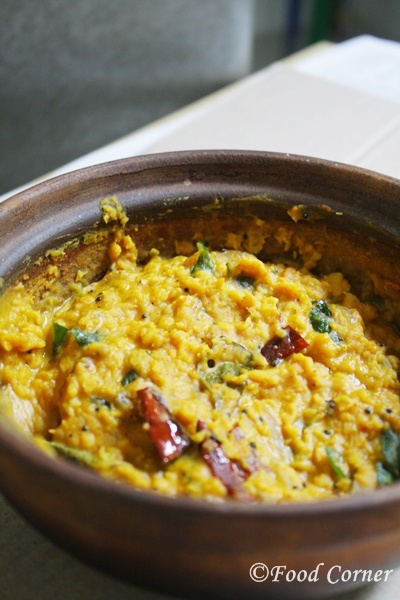 Wash dhal properly few times.Place in a cooking pot. Mix all & add thin coconut milk. Cover & allow to cook in medium flame. 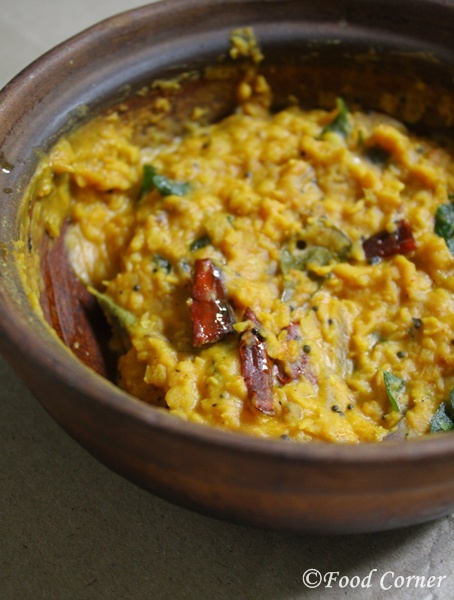 Once dhal is cooked add thick coconut milk. Mix well. At the mean time heat another pan & add oil. Once oil is hot, add the ingredients under seasoning. 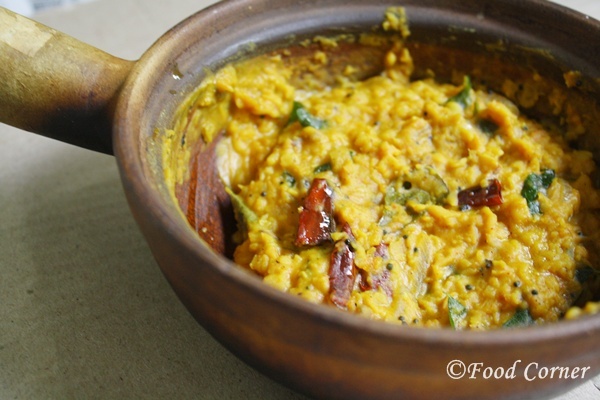 Once onions are tender & golden brown; add this mix to dry dhal curry & mix well. 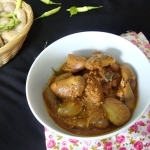 Tip: This is delicious when cooked in a clay pot or earthen pot. I like the taste when the curry is bit roasted in the bottom. 🙂 But make sure not to burn. How about you? 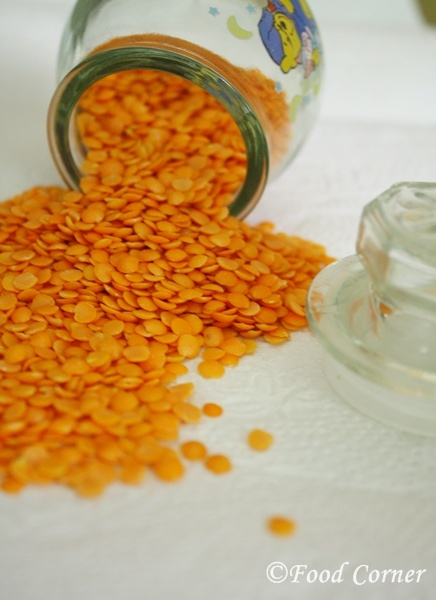 Do you like dhal? 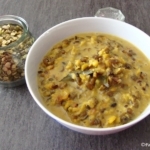 Yummilicious dal curry. Would love to taste it. Amila, that pot is rustic and beautiful. Dal curry is always comfort. Love to learn about your version. 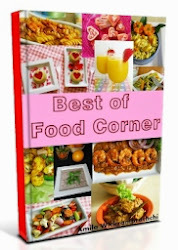 very healthy n looks delicious..goes well vth rotis.